Looking for a CTO, Director, or Lead Engineer for your startup? Get in touch! and I build intuitive web applications. I've spent my career focusing on becoming a well-versed generalist in all aspects of high-availability web and mobile applications. This has enabled me to be an ideal fit for startups as I can successfully operate many roles inside of a company. 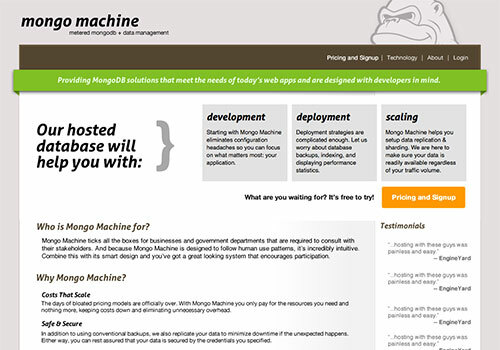 Developed a SaaS platform from the ground up to provision, manage and serve MongoDB instances as an "on-demand" service. In a little over a year I not only took the company to well into profitability, but also became an expert in NoSQL databases and DevOps/Chef/Cloud provisioning. 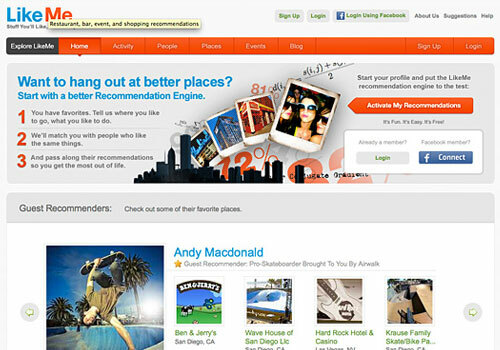 Company has a successful exit with an acquisition by MongoHQ in July 2011. 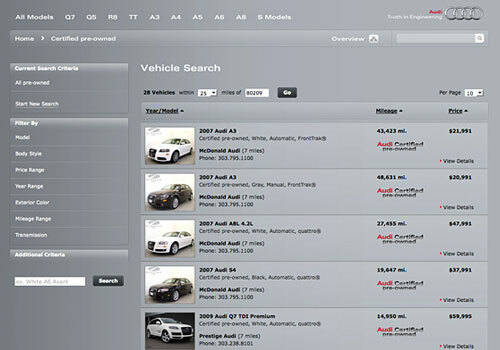 Audi IMS (Inventory Management System) is an app which manages all new and used car inventory for Audi Dealerships in the United States and Canada. The application relied heavily on background processing, large search datasets, and various data warehousing techniques. Social recommendation engine that analyzed local eating habits and friendships to formulate curated restaurant suggestions in other cities. The application made heavy use of recommendation algorithms and background processes with a Rails stack serving the result set. I've worked for some of the top lifestyle brands, as well as some of the hottest startups in Silicon Valley. Warden, PivotalTracker API, and Socialite SSO projects. 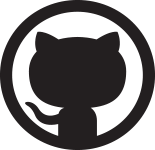 See all my open source projects and activity on my github page. Originally from Chicago, IL, I relocated to Colorado after getting a taste for the wonderfully supportive local startup atmosphere. I often give back to the local community by hosting "office hours" allowing budding programmers and entrepreneurs time slots to come get advice and coding help on their projects. Graduate with Bachelors of Science in Computer Science. While attending UI I also focused on earning a minor in business accounting and GIS. Both of these have attributed to the financial success of my startups and projects. Copyright 2009 - 2018 Justin Smestad and Overstuffed Gorilla LLC. All Rights Reserved.